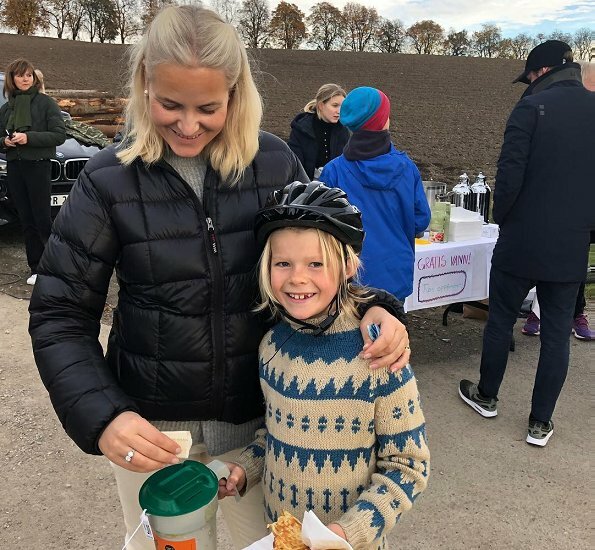 On Sunday, Crown Princess Mette-Marit and her daughter Ingrid Alexandra attended a selling event for the benefit of the church city mission, Kirkens Bymisjon. 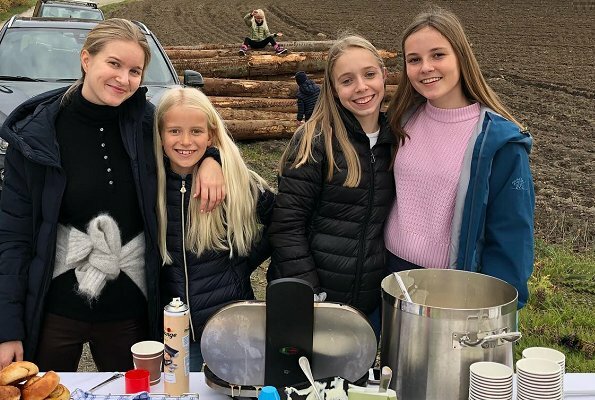 Girlfriends of Princess Ingrid Alexandra also attended the event. 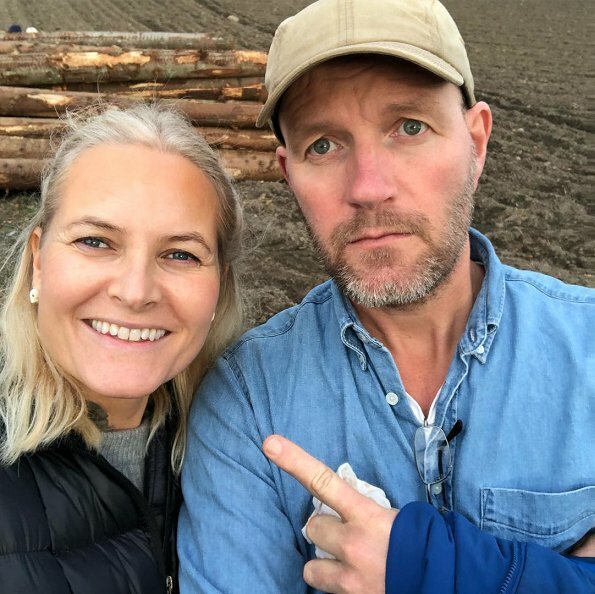 Crown Princess Mette-Marit shared the photos taken by herself during that event on her Instagram account. 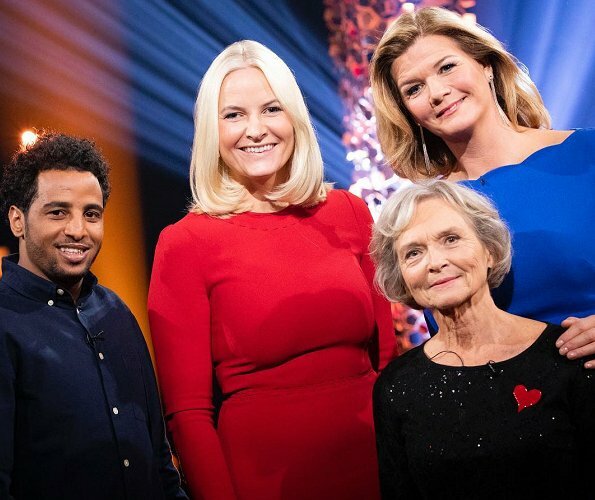 In the previous days, Crown Princess Mette-Marit took part in NRK's talk show for the charity collection campaign for the benefit of the church city mission, Kirkens Bymisjon. I like it, she looks good in red and with this dress. Happy and relaxed.Good job MM and IA . I like both hair styles. Mother and daughter look great. The red D&G dress is always nice to see it is simple and elegant. Wonderful red dress. MM is always lovely, even when her fashion choices are less so but she looks fantastic here and her hairstyle is great and really flattering. MM looks really good and relaxed here. Wonderful photos! 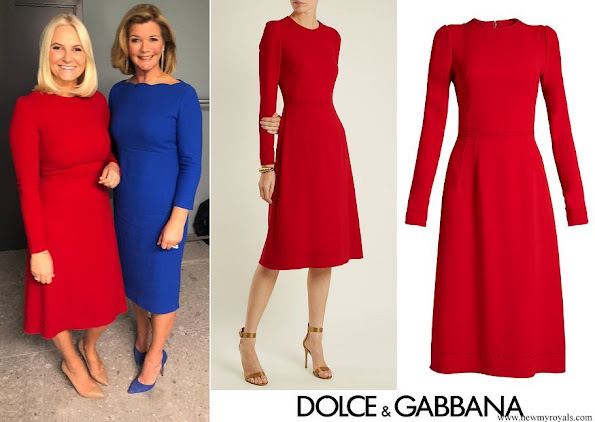 I also like the picture with her in the red dress and the other lady in the blue one. Saddened to hear the news of CP MM. Prayers and thoughts with the family at this time. 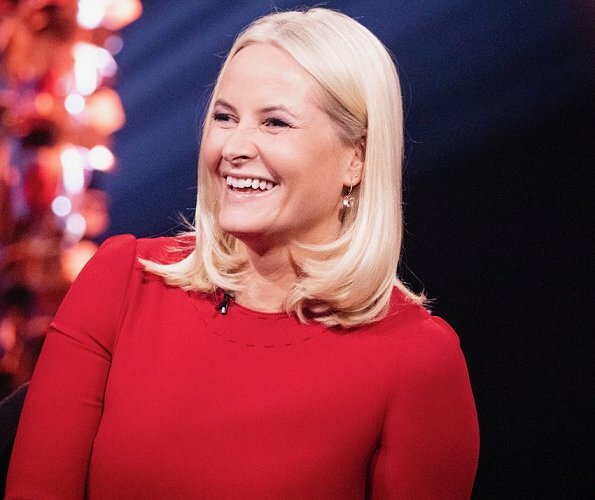 Sending much love to the lovely Crown Princess. I agree with you! So sorry for the Crown Princess and her family! I just wish her all the best, thoughts & prayers for them all! 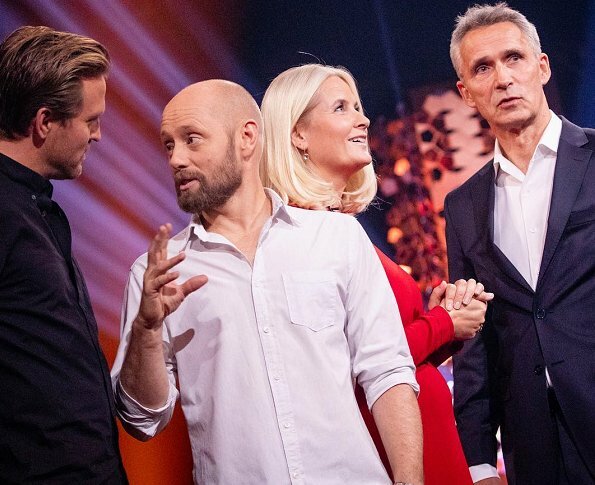 How desperately sad for the lovely Norwegian royal family. Thoughts and prayers with them all.